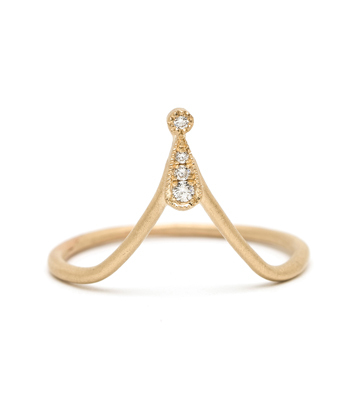 Elegance with an edge. 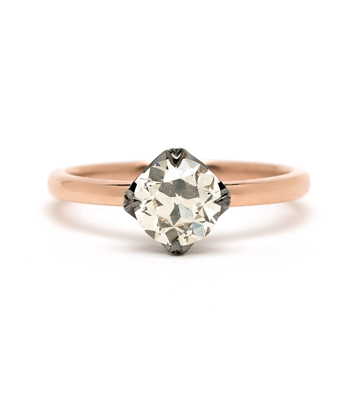 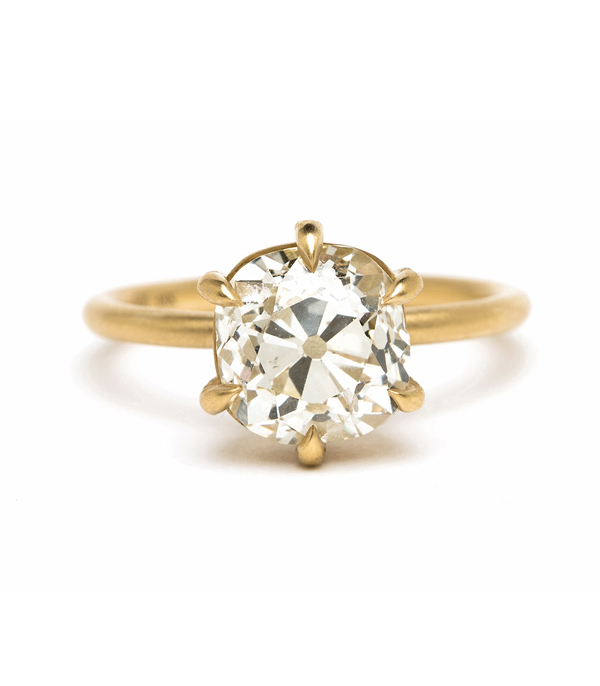 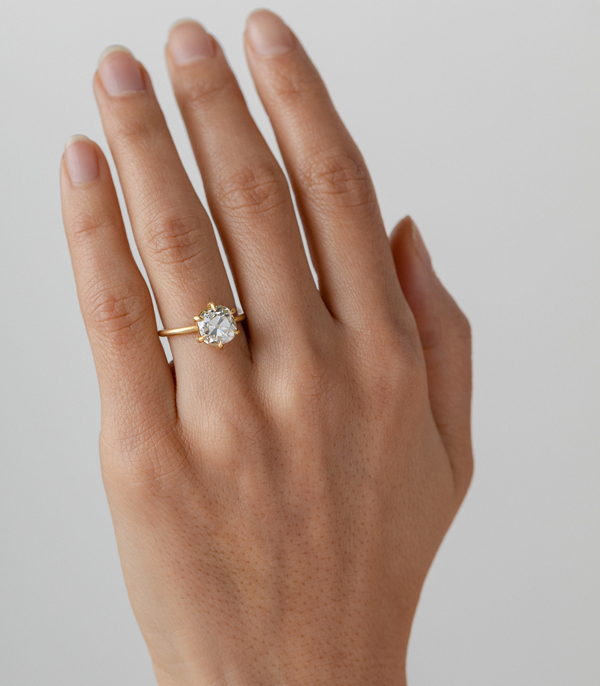 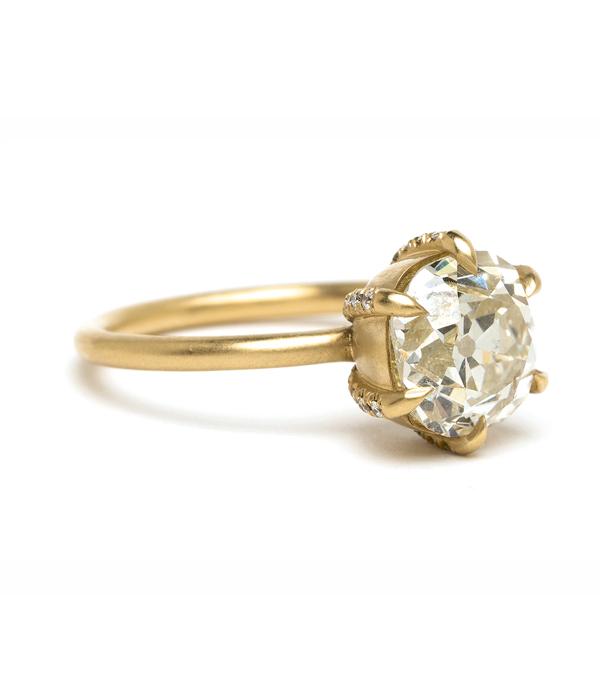 We love the classic simplicity of a solitaire, especially when it comes with a twist. 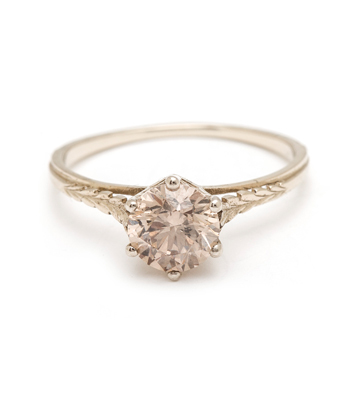 This show stopping solitaire features the most captivating antique Old Mine Cut diamond (2.65ct) expertly set in a vintage-inspired cupped mounting, lined with six diamond set prongs. 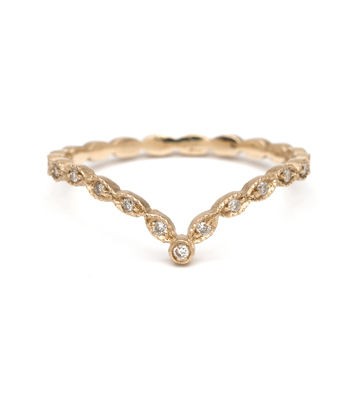 The centerpiece is low set on a rounded wire band for an equally subdued yet statement-making style. 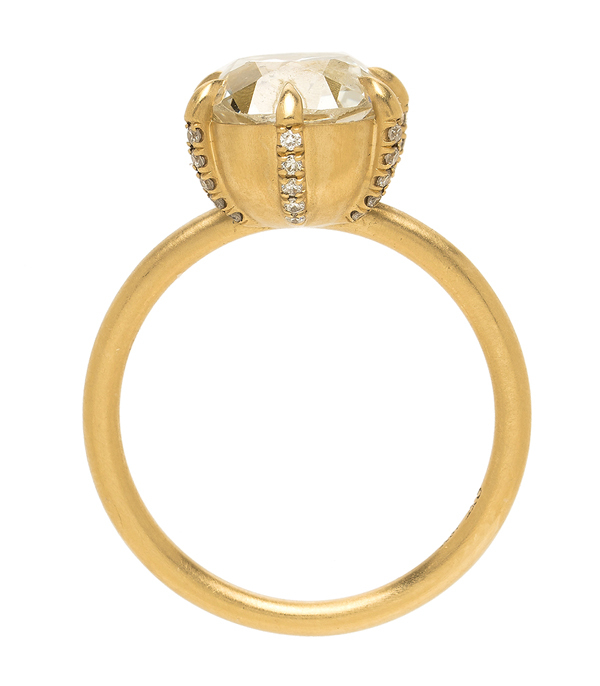 Categories: City Sophisticate, New Arrivals, One of a Kind Bridal.